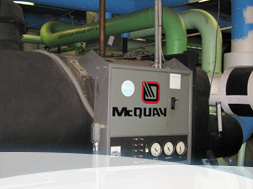 We offer a “quality” chiller service product that many in the local market have come to depend on since 1999. We are a small company operating in a marketplace that is dominated by large equipment manufacturers. We believe that being small gives us an advantage over larger service organizations. We are big enough to provide great service and small enough to move quickly and without typical internal “red tape” issues. CTS has worked very hard to win the confidence and trust of key chiller owners in the region. Along the way, we have won the confidence of our clients by demonstrating to them that prompt and courteous service is not just something that CTS aspires to. We take great pride in the fact, that for most of our clients, we have replaced an incumbent equipment manufacturer. 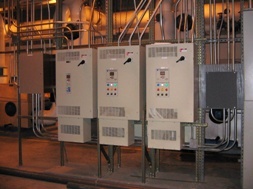 CTS is focused on providing chiller services for the owners of large central cooling plants. This focus, on large tonnage equipment, has given us the opportunity to be the solution provider for a special group of chiller owners. We are capable of providing high quality services, while remaining extremely easy to work with. Good communication and attention to detail has always been the key to our success.